Ah, train travel! The landscapes rolling by, the soothing motion, the ability to relax while getting from point A to point B…if you can’t tell, we really love trains—and we love them even more when we can bring our pets along for the ride. Sadly, interstate and cross-country trains in North America are usually not dog friendly (yet! ), but many small regional or local trains are. 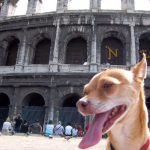 Check out our overview below to get the skinny on dog-friendly trains, and don’t forget to check out travel accessories such as a portable collapsable dog bowl, a sturdy dog leash, and a great dog harness vest. Amtrak, the largest network of trains, has a no-dog policy and the only exception is for service dogs. Their policy is very strict and doesn’t make accommodation for emotional support animals. This puts a serious damper on cross-country train travel, but there are plenty of dog-lovers out there trying to make change with petitions (like this) and letters. So if you wish your dog could tag along on Amtrak, let them know that by not allowing pets, they’re losing your business. Regional trains in the U.S. are more flexible, with lines like the MARC train in Maryland, DC, and West Virginia accommodating small pets in crates. However, this isn’t true of all smaller rail lines and the requirements for dogs onboard can vary greatly. Some lines require a hard case, while others just need your dog to be on a leash and muzzled. 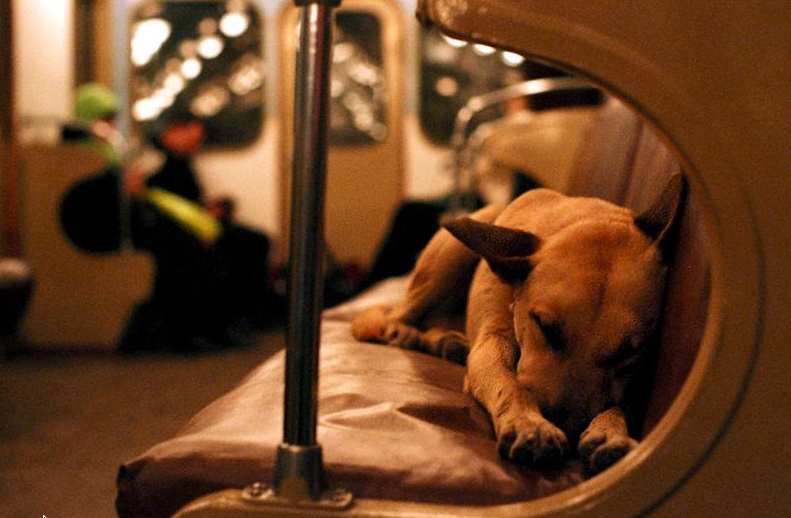 Commuter trains in bigger cities have a wide range of policies when it comes to commuting with your dog. In Boston, San Francisco, and Seattle, you can bring both large and small dogs on trains as long as they’re well-behaved and on a leash. Many other cities, including Chicago, Dallas, DC, and Cincinnati, will only let you bring small, crated dogs onto a train. A general rule of thumb is that as long as the crate can fit comfortably on your lap, your pooch qualifies under these small dog restrictions. If you have plans to venture to Europe, the good news is that train lines are much more relaxed about dogs. With the exception of the Eurostar, which doesn’t allow any non-service dogs, most trains are very pet friendly—and some even let your pet ride along for free. Regardless of where you’re traveling, the best thing you can do to ensure a happy and hassle-free train trip for you and your dog is to double-check all of the requirements beforehand. And if you find a train company that doesn’t allow pets, let them know they’ve lost your business. If enough people do this, change might just be on the horizon for train travel. If you have experience with traveling on a train with your dog, please post a comment below and say hello to the folks at EzyDog.